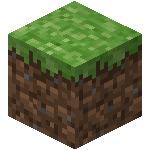 Mineserver is completely open-source, and licensed under a permissive 3-clause BSD license, meaning you're free to use it for whatever you like, whenever you like, for as long as you like! If you want someone to take care of hosting and administration for you, we will be offering hosting packages in the near future. Tired of other servers not doing what you want? Is your current server bogging you down or holding you back? 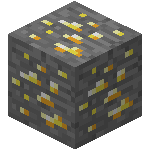 Mineserver consumes less than 1/10th the resources of the official server and boasts a powerful configuration and plugin system, putting it leaps and bounds ahead of the competition! Mineserver is maintained by a capable team of developers, but anyone can join in the fun by forking the project on github! 180.19€ + 0.5 BTC + 1001.22 DOGE donated by 15 donors (+1 BTC + 2 DOGE addr), thanks for the support!